On the 1st Issy laid a fourth egg and remained sitting on the two dummy eggs and one real egg. This was the last egg of her clutch. 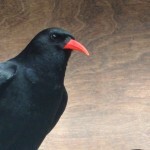 During the incubation period the choughs managed to reposition the camera obscuring the view of the nest. On the 21st it seemed as if the birds were taking insects to the nest, but there were no observations of the parents feeding. Over the next two days their foraging time on the ground increased and there were more trips to the nest. The keepers checked the nest on the 23rd by opening the hatch at the side: one chick was seen along with the two dummy eggs and one real egg. The chick was accessioned as B7021 and named ‘chick A’. 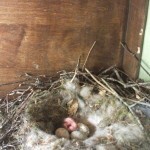 A photo was taken at the nest and sent to Paradise Park who estimated the chick to be three to four days old. The keepers continued to give several ‘chick feeds’ each day using a variety of insects including ants and ant larvae. On the 27th the keeper discovered the dummy eggs, hatched eggshell, and a cracked egg at the front of the aviary and it was assumed the parents had just cleaned out the ‘debris’ from the nest, as some birds do, and continued with the feeds. However, two days later both birds were out of the nest-box preening first thing and not showing interest in insects. The inner lining of the nest was spotted at the back of the aviary so the keeper went straight to the nest box to check. The nest was empty and a search of the aviary found the decomposing body of chick A at the very back on the ground. The body was submitted for post mortem; however, it was too autolysed for useful examination. The two eggs placed in the artificial incubator at the end of April were monitored closely through weight loss graphs and egg candling. Initially the eggs were set at 37.6°C and 50% humidity, but the eggs were not losing enough weight so the humidity had to be reduced accordingly. A passerine egg should lose approximately 15% of its initial weight when laid by the time it hatches. It is possible to calculate how much weight an egg should lose each day if the incubation period of the species is known. On the third day of incubation the eggs were candled and found to be fertile because blood vessels were visible. However, they continued to struggle with weight loss throughout the incubation period. On the 14th the eggs were candled and placed in an egg heart monitor machine and both confirmed to be dead. A post mortem showed that both eggs had suffered early embryonic death. One egg was noted to have a haemorrhage around the embryo and suspected trauma indicating blood loss as the cause of death. Arthur and Gwinny continued to show little interest in breeding. They would occasionally move twigs around in the nest-box but spent most of their time away from the nest. Arthur’s bill has healed well and now both upper and lower mandibles are the same length. 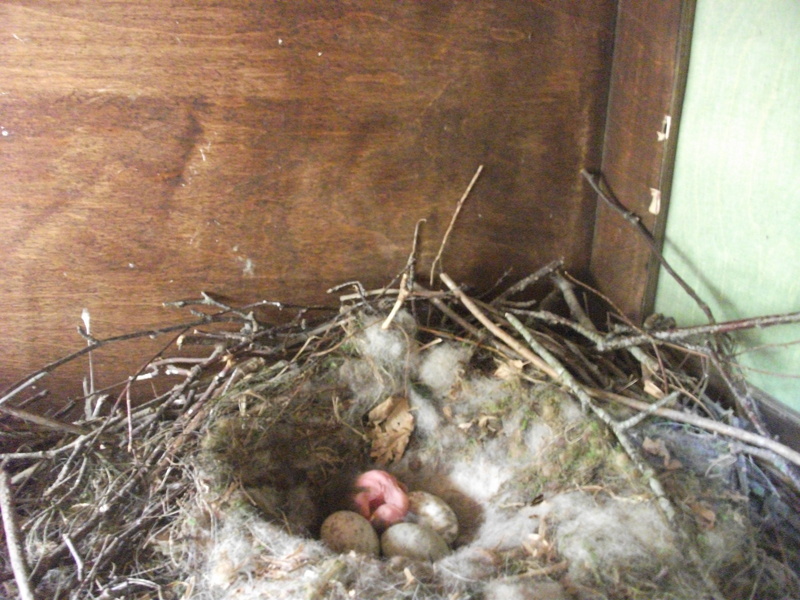 Paradise Park have parent-reared three chicks this season; two chicks from one nest and a single chick from another. 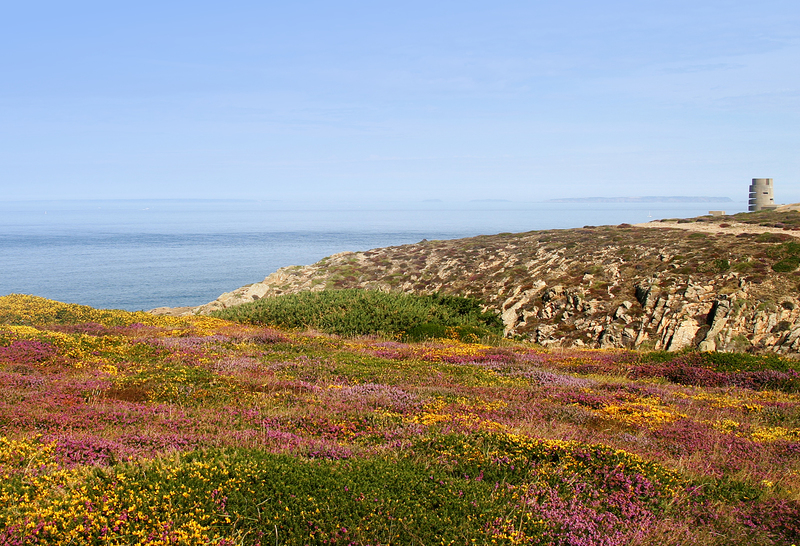 The chicks are due to fledge in June. Another nest has failed this year, probably through naivety of a new pair and heavy rain during incubation. 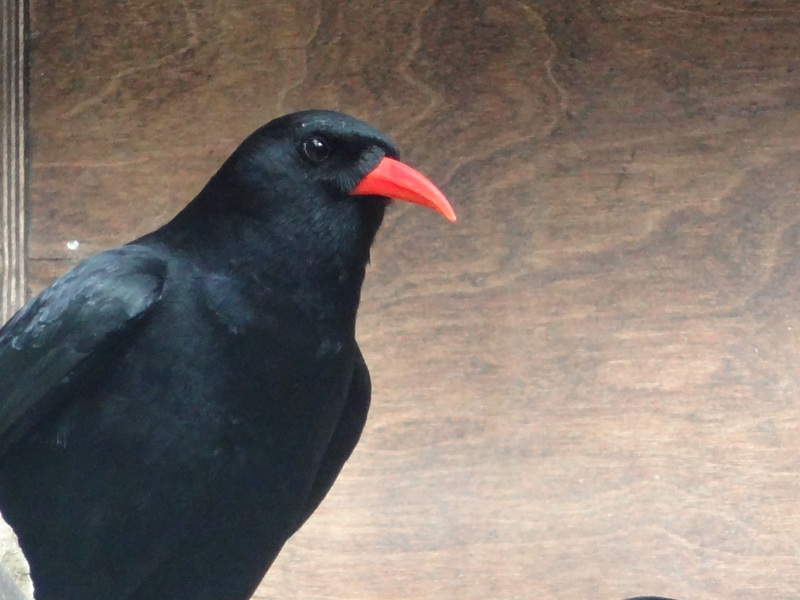 Both adult chough pairs continue to show an interest in the cameras. Tristan and Issy spend a considerable amount of time attacking their camera and we will look at addressing this next season. We do not have access to software to view back any footage recorded from the camera and this too will also be addressed in time for next season.